Daisy days are here again! 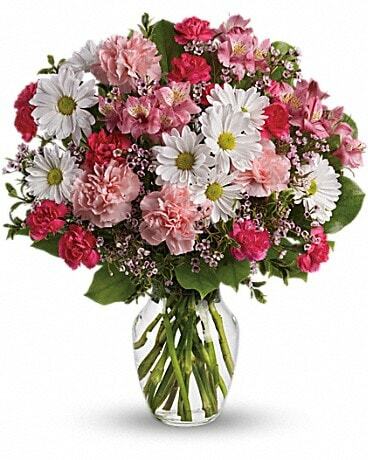 Send someone this cheerful mix of happy-faced white blooms, complete with sunny yellow centers - and presented in a graceful, curved Teleflora inspiration vase - and they're sure to have a wonderful day. 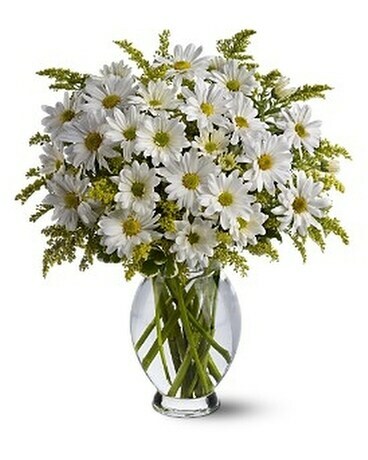 •A mix of white daisy spray chrysanthemums and solidago is delivered in a Teleflora clear glass inspiration vase.